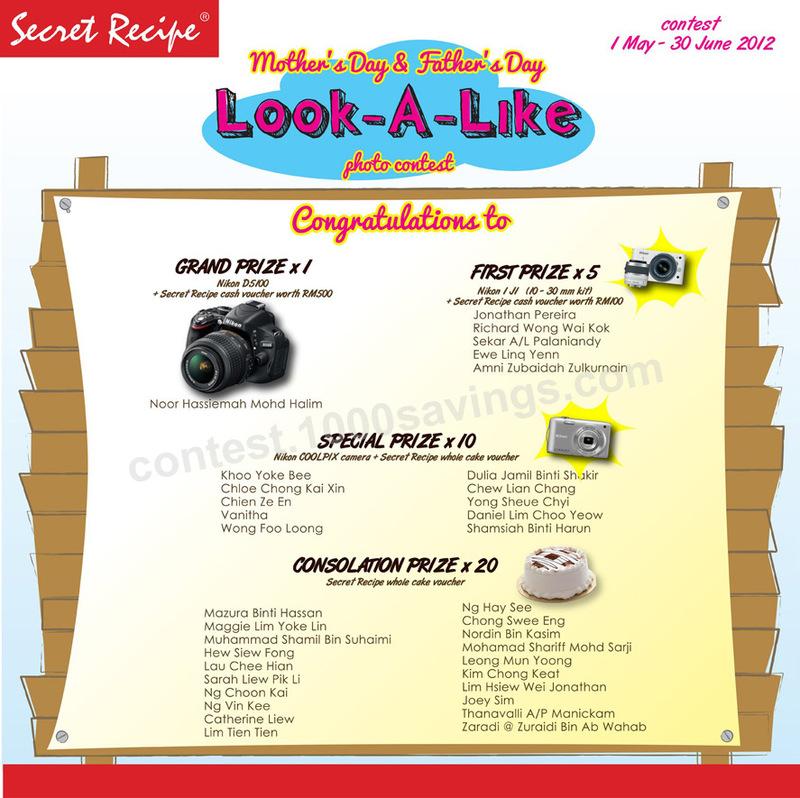 This is the winner list of Secret Recipe Mother's Day & Father's Day Look-A-Like Photo Contest. New game to try out. 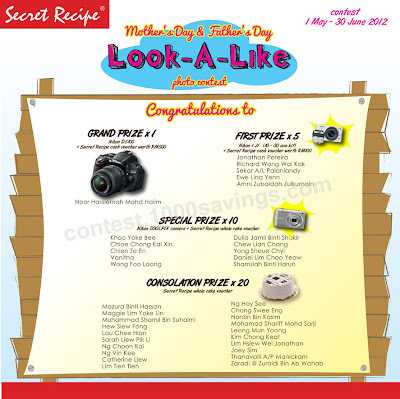 Use your mouse skills & stand a chance to win RM1000!